So you’ve decided to sign up for a French cycling tour ? Whether you’re riding through the Basque Country, the Raid Pyrenees, the Raid Alps or any other amazing adventure on two wheels, the best thing you can do to enjoy your time in the saddle is to make the proper preparations before you even take the first pedal stroke. In the last blog, we offered some tips on preparing your bike for a cycling tour. This time, we’d like to talk about some basic but important components to preparing the rider for a successful trip. The guides at Bike Basque and the staff at our local shop, Capra Velo, have lots of experience riding in France. So as always, if you have any questions about how to prepare for your upcoming bike tour that are not answered in our blogs, don’t hesitate to contact us. We’re always happy to help you have the best time on your bike. Have you been properly fit to your bicycle? A professional bike fit does not just ensure comfort for long days in the saddle, it can also optimize power, efficiency and endurance. To have a successful tour, it’s important to be comfortable on the bike, even at the end of a long day of cycling. That doesn’t mean that you won’t experience some minor aches and pains, like muscle fatigue or a sore backside. Cycling across the entire width of France, up and down some of the world’s most famous mountains isn’t supposed to be easy! 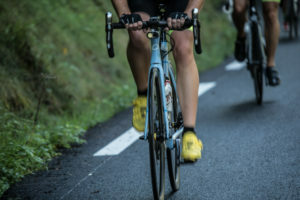 Though with the appropriate amount of fitness and preparation and a proper fit, most riders will find that they can pedal without issue day after day. If you are experiencing any discomfort on the bike, such as soreness of soft tissue or “saddle areas”, soreness in knees/hips/back/neck or trouble staying comfortable for long distances, address these or any other concerns right away. A small problem at home on short, daily training rides can really magnify themselves on tour. Endurance cycling means turning the pedals thousands of times each ride. Don’t let a nagging pain turn into a bonafide injury. If you have any questions about your fit, talk to your guide at Bike Basque before the tour. If necessary, there is a small fit studio at Capra Velo for any last minute adjustments. If you are renting a bike, provide us with your fit numbers and we’ll make sure your equipment is set up for you when you arrive. Make changes early and in small increments. If you or your professional bike fitter has decided to make changes to your bike fit, make sure you make any changes well before your bike tour. Small increments reduce the risk of a strain to muscles, tendons, ligaments or joints. Also, give your body plenty of time to adjust to new changes. 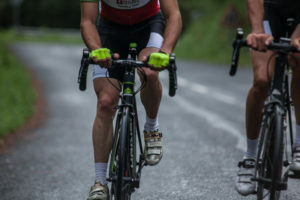 Typically, professionals suggest taking two short rides and at least one long ride before deciding whether changes improve or decrease your performance and comfort. Of course, any changes that cause instant or obvious discomfort should be corrected right away. Some adjustments to your fit may initially feel unusual or unnatural but don’t force your body to perform under any conditions that cause pain. Most cyclists adapt to their fit changes within two weeks. If you are not comfortable on your bike at the two-week mark, talk to your fitter about a re-evaluation or further adjustments. While long days in the saddle can cause some expected fatigue and even some minor aches or soreness, no one should cycle in pain. Base miles and early fitness. In the next blog, we’ll offer some specific training advice for your upcoming cycling tour from Bike Basque founder, Xavier Lopez. For now, especially during the winter months, the most important thing you can do to gain fitness is just ride. Remember, there is no such thing as wasted miles. All saddle time counts. Slow is fine! A slow pace for a long distance is even better. Don’t worry about climbing big, tough climbs or doing intervals or sprints or riding at “race-pace”. Chances are you are not in the same kind of shape after the holiday season as you were last summer, so these types of efforts will just put unnecessary strain on your body. For those that live in wintry parts of the world, you may find yourself spending a lot of time on your indoor trainer. (We don’t really have that problem here in Biarritz!). Remember, while trainer miles help with cardio and general “fitness”, nothing replaces real-time kilometers on the bike. Be sure to get in lots of real road “base” miles when the weather allows. Bike handling, road familiarity, fit changes, head winds, the elements, familiarity and comfort with vehicular traffic and other cyclists….these are all benefits of riding outdoors. It evens helps to break in new equipment and apparel. Lastly, if you don’t often ride in the rain, wind, fog, or even the occasional snow shower, experiences like these can really improve your reactions and handling skills. No one wants to think about inclement weather during their dream cycling vacation, but the mountains make the rules and we have to be prepared for any situation! Living and riding near the Pyrenees means the guides and staff of Bike Basque have lots of experience with the roads and climbs through some of the most beautiful and wild mountains in the world. 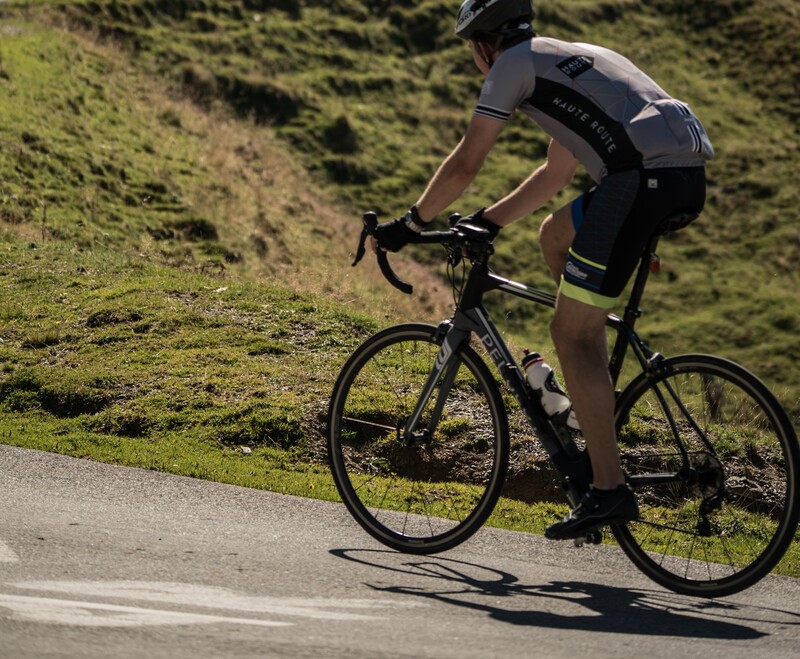 We have the experience to help you prepare for your epic cycling tour whether you’re cruising through the vineyards of Bordeaux or the high passes of the Alps. Proper preparation for both you and your bike, means you can focus on the thing that matters, pedaling and taking in the views. Newer Post How to Prepare for a Cycling Tour in 4 months ? Older Post How to prepare your bike for a cycling tour ?